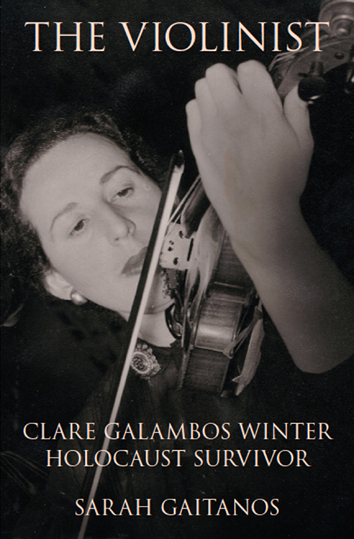 Klára Galambos was a twenty-year-old violin student in Budapest in March 1944. 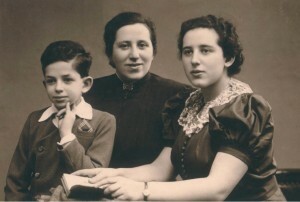 Arrested and thrown into jail in the first days after the German occupation, she later managed to get home to Szombathely, was in the ghetto there and transported with the Jews of Szombathely to Auschwitz Birkenau. After five weeks she and her aunt were among the thousand Hungarian women selected for slave labour in Germany’s biggest munitions factory, sited at Allendorf. They returned to Hungary after the war, and in 1948 they both left Hungary for New Zealand, where Clare joined the fledgling national orchestra. As a long-serving member of the NZSO and a generous patron of the arts she made a significant contribution to the musical life of this country. When she eventually hung up her bow, she donated her two violins to the New Zealand School of Music at Victoria University of Wellington, and established two endowed scholarships for studies in violin performance. The Violinist ends in 2011 but Clare’s story continues. Extending her educational work with the New Zealand Holocaust Centre to promote tolerance and understanding, she established a prize for Holocaust Studies at Victoria University. In 2013 the university made her a Hunter Fellow. Clare died in Wellington in February 2014, aged 90. 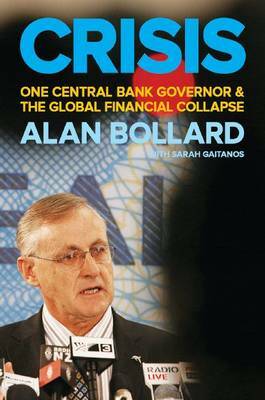 ‘This book is gripping, valuable and humbling.’ — Peter Russell, New Zealand Books, Winter 2011. ‘… a very honest book, it’s incredibly moving, very simply told … a woman of great courage and compassion and strength. It’s a really interesting example of how different people, depending on their personalities and circumstances, survived trauma … it’s very moving. It’s a good story, as well as being a wonderful story.’ — Kate de Goldi, Good Morning, TV ONE, 15 February 2011. 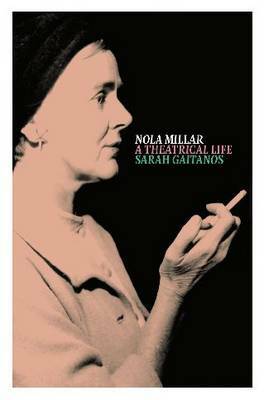 ‘The compelling story of an eventful life.’ — Julia Millen, THE LISTENER, 12 March 2011. For Hungarian readers, see Szólt a Csendes éj for an article about ‘The Violinist’ in one of Hungary’s main daily newspapers, Népsazbadság, published on 27 January 2015. Available in all good New Zealand bookshops and online at http://vup.victoria.ac.nz/the-violinist-clare-galambos-winter/. NB The Violinist has been reprinted in February 2014. Copies are available, regardless of what some websites say. 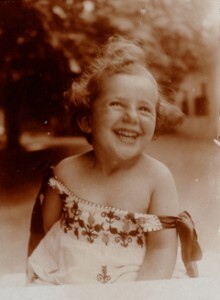 Clare, known then as Klári, as a child. Clare as a teenager with her mother and brother. 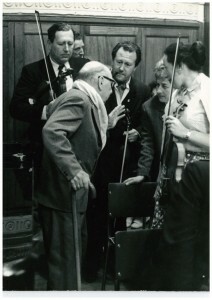 Clare and colleagues with Stravinsky (photographer Tom Shanahan).